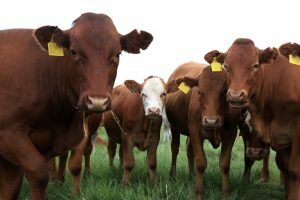 The Veterinary Feed Directive (VFD) will take effect January 1, 2017, and affects how distributors sell feed-grade antibiotics, and how you, the customer, will purchase these products. Rest assured, you will still be able to purchase these products from J&N Feed and Seed. If you’re not familiar with the Veterinary Feed Directive, here’s a quick overview from the FDA. Over the past several years, the FDA has taken important steps toward fundamental change in how medically important antibiotics can be legally used in feed or water for food-producing animals. Now, the agency is moving to eliminate the use of such drugs for production purposes (i.e., growth promotion and feed efficiency) and bring their remaining therapeutic uses in feed and water under the supervision of licensed veterinarians – changes that are critical to ensure these drugs are used judiciously and only when appropriate for specific animal health purposes. The Veterinary Feed Directive (VFD) final rule is an important part of the agency’s overall strategy to ensure the judicious use of medically important antimicrobials in food-producing animals. J&N Feed and Seed is ready to work with you and your veterinarian to acquire the feeds you need to keep your livestock healthy. Questions? Please give us a call at (940) 549-4631 if we can answer any questions regarding the new changes coming in 2017. This entry was posted on Tuesday, December 20th, 2016 at 10:20 am	and is filed under News & Updates. You can follow any responses to this entry through the RSS 2.0 feed. Both comments and pings are currently closed.